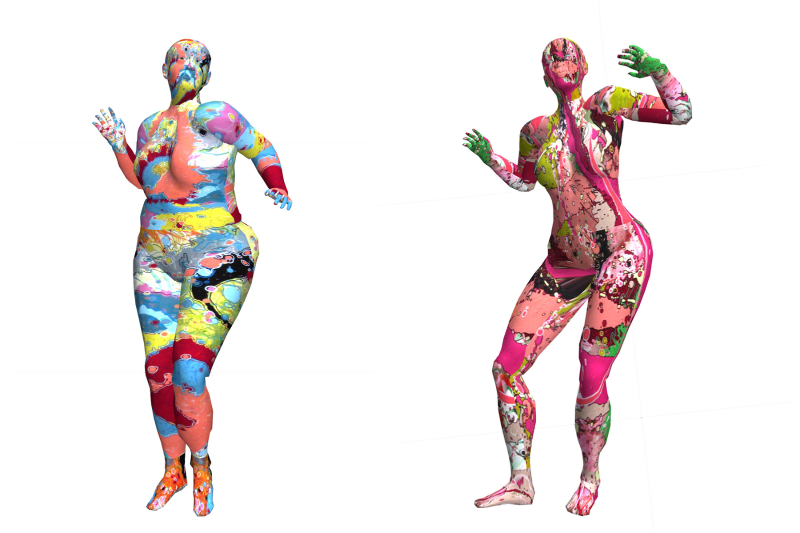 Spend the Afternoon with Avatars at Bergamot Station – Be Inspired! …and Get ArtQuenched! Location: bG Gallery at Bergamot Station 2525, Michigan Avenue, Space G8A, Santa Monica, CA 90404. 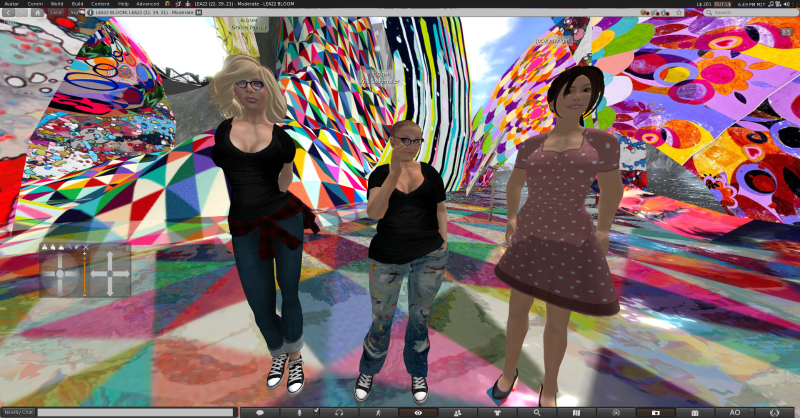 Go to www.secondlife.com download the platform, create an avatar and find us at the URL above. bG Gallery is happy to host an afternoon of performances as part of the current Island Girls exhibit exploring women artists. Jocelyn Wright and Kristine Schomaker present an engaging afternoon of multidisciplinary performance. Kristine Schomaker blurs the lines between the virtual and physical worlds using the interactive, immersive performance environment. Projecting the 3D online virtual world of Second Life, the physical audience will be able to interact with Avatars from all over the world. The event will be held during a closing reception of her virtual installation BLOOM within Second Life, and at a performance art event held at bG Gallery Bergamot Station, Santa Monica, California simultaneously. Jocelyn Wright’s performances are an engaging mix of poetry, prose, and theater. Having completed seven years on The Closer as the executive drama supervisor, Jocelyn is thrilled to be done with murder and onto poetry. Her poetry and short stories have been published in several anthologies, featured on radio, and documentary. Artists: Wangechi Mutu, Sue Wong, Madam X, Cathy Weiss, Linda Vallejo, Kristine Schomaker, Megan Whitmarsh, Sarah Stieber, Linda Smith, Erin Reiter, Courtney Reid, Gay Summer Rick, Allie Pohl, Trinity Martin, Nancy Larrew, Michelle Lilly, Mia Loucks, Kate Jackson, Brenda Jamrus, Simone Gad, Carol Friedman, MK Decca, Wini Brewer, Terri Berman, Nora Berman, Sofia Arreguin. Historically artists have relieved long hours of isolation in the company of their peers. The Ashcan School, the School of Paris and New York’s mass of Post-War Abstract Expressionists are all examples of such camaraderie. But few, if any, women artists are found in the photos, records and collections relating to these movements. Excluded from the society of their male counterparts, women artists can find their work dismissed as an avocation, a hobby, a squandering of time. Marriage, motherhood and society’s expectations might exhaust creative energy or worse, stifle it. 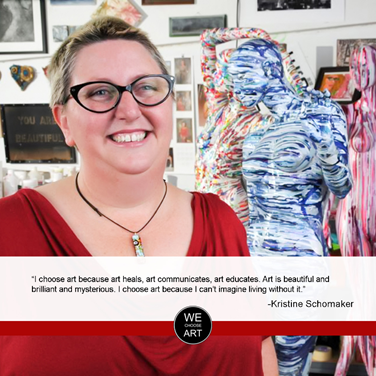 Just like other working women, female artists can feel compelled to choose between family and career. No matter what path the female artist chooses, when she ventures out of the confinement of her studio to artists’ gatherings, galleries and museums, she will frequently find herself alone in a sea of men. The works these women create suggest a range of emotions in response to their position: anger, contentment, defiance, detached amusement and quiet introspection. Every work a message in a bottle from an Island Girl. Upon this discovery, Schomaker began journaling an ongoing conversation between her avatar and herself. The experience was cathartic and led Schomaker to the realization that she’d been grappling with an eating disorder throughout most all her life. While the truly transformative revelation brought with it a roller coaster of emotions, Schomaker made the brave decision to delve in and further her investigation about the instigating matters of contention that had initiated her disorder through a new body of work. BLOOM is an immersive installation in the virtual world of Second Life. Created using the tools and technology within Second Life, BLOOM is a kaleidoscope of art, paintings, patterns, textures, prints, designs and more. has begun Click Here for more Info.